Bharata takes inspiration from traditional Indian folk art forms, Kishangarh paintings & miniature paintings as the central theme while the characters are imagined as part of the Indian royalty. 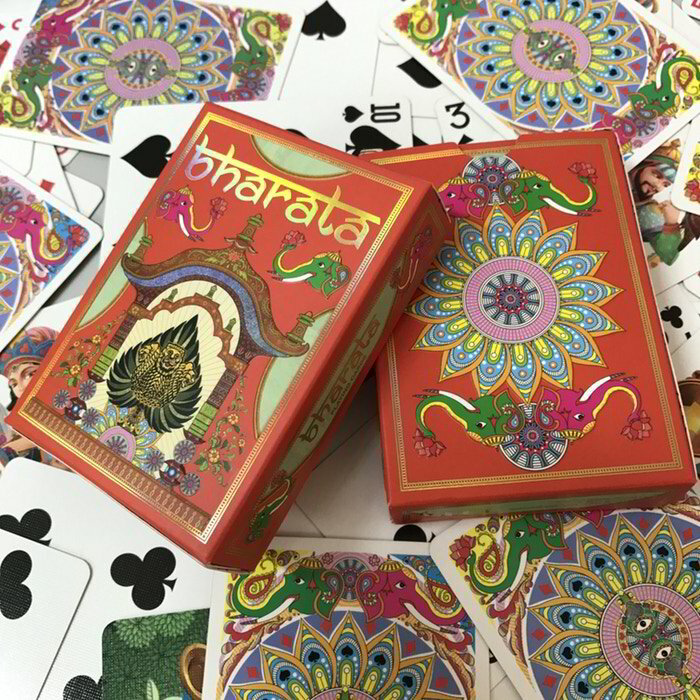 Bharata is India's original name, and the whole deck is an ode to the stories of Kings & Queens, art forms & history. It is one of the most beautiful pieces of work coming in the form of a fully custom illustrated playing card deck designed by Ishan Trivedi and Sunish Chabba in Australia.